A coveted favorite since its debut, our new small Reid satchel packs a lot of style and substance. This season for the introduction of the new small size, color and texture provided ample inspiration. 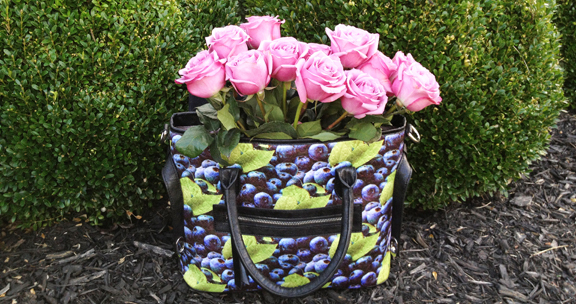 The Lacey satchel blueberry print is very design focused, but also carefree at the same time. Shades of blue, grey, and green form an incredibly charming print. Be the first to get your hands on this spring must-have.